Un, one of the best doom bands in the world is back baby. After blowing us all away in 2015 with The Tomb Of All Things the wait is over. Translation Loss has delivered us with one of the most potent doom records of the year, a record as epic as it is beautiful, as terrifying as it is tear jerking. 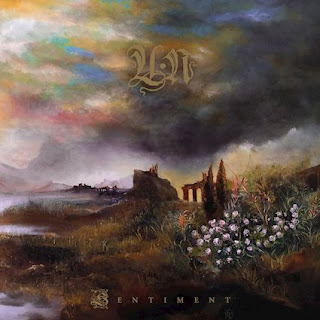 Falling into a musical universe alongside Forn, Bell Witch and Lycus there is an amazing power to this band few of their peers will ever match. The overarching power and heartwarming strength that has come to define The Tomb Of All Things is exciting and hints at so much more to come. The most important thing to note about Sentiment is that it builds upon the sounds of The Tomb Of All Things in a big bad way. While the musical direction is still the same, and you can still expect the same monster riffs, soulful melodies and incredibly powerful growls, the band has grown up. Kelly Schilling of Dreadnought's haunting vocals color one track, and the songwriting has become much more dynamic. Project mainman Monte Mcleery's time in Samothrace has clearly contributed to his growth here, but it's also a product of maturity and drive. The tracks rival Saturnus or Pallbearer at their finest and speak to a band who seem committed to taking the world by storm. Their is a sense of potent forward motion that defines Sentiment and the bands ability to craft melodies that come crashing down, like waves on a shore is unparalleled, save for perhaps Bell Witch. This is a monster album that has no problem reminding you that it's a monster album. Wonderfully bombastic and unafraid to hearken back to the musicians more punk derived roots there is something wonderfully real about what has been accomplished here. Emotionally destructive and impossible to turn off, Un are well on their way to becoming doom metal royalty.